Nothing is as enjoyable as charging your mobile phone faster within few minutes; also, nothing is as frustrating as waiting for so many hours to fully charge your phone. Therefore, here are some helpful tips to charge your phone faster today to save yourself the stress and uncomfortable situations of slow charging experience. Imagine a situation where you have flat battery in the morning and need to charge your phone under 10 minutes before going out but your phone takes forever to add bars. It’s frustrating right? Also imagine a situation where you can charge your phone from 0% to at least 30% within 10 minutes. Interesting right? Good. Although some new smartphone now has “fast charging” features that makes it possible to charge the phone faster but there are still phones without fast charging features but you can still get a decent battery juice when you follow my fast charging tips on this blog post. Going back to our school days, we were taught in Physics that electricity is measured in watts, which came from the voltage (in the number of volts) and current (in the number of amps). This is the main reason some chargers deliver more voltage or amperage than others; this tells you they can charge your mobile device quicker. If your phone supports it, it will extract only as much power that it knows it can handle. If you need to charge your phone faster, avoid charging via the USB port on your PC because most PCs USB ports delivers only 500mAh which is not sufficient for fast charging. Unless you are using a non smartphone (java or feature phones with smaller battery capacity). Also avoid charging via TV USB ports, DVD USB ports and car charger USB ports anytime you really want to charge your smartphone faster. Phone chargers comes in different ratings which indicates how fast they can charge your phone. So when buying a new charger, ensure you go for chargers with high amperage ratings from 1000mAh (1A) to 2500mAh (2.5A). With this type of charger, your phone will surely charge faster. For instance, iPhones come with Apple’s small five-volt/one-amp power bricks, while iPads come with broader five-volt/2.4-amp bricks (although some more ancient ones are five-volt/2.1-amp). If you use that charger for your iPad on your iPhone, it can boost its charging as long as its a modern one. Some old iPhones might find it difficult to use more than one amp, while others like the iPhone 6 will extract around 1.6 amps from that same iPad charger. Your phone will collect the kind of current it is sure it can handle, so you don’t have to bother your head about rendering your phone faulty provided you are using an original charger from a brand you trust. This also tells us that the amount of time you save on charging is dependent on your phone, the size of your battery and how much power it can pull. 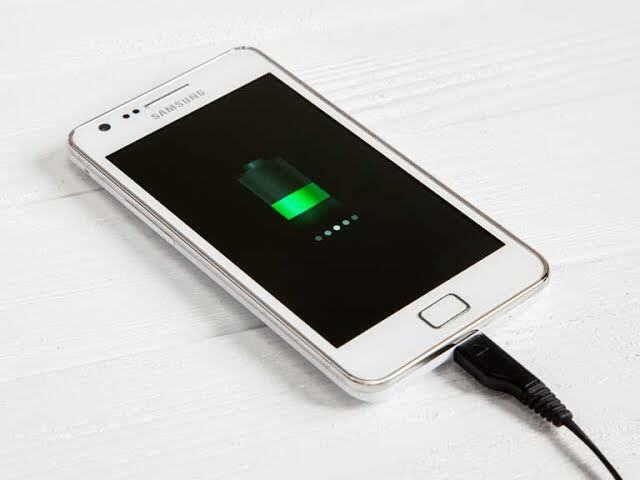 Some smartphones that are equipped with fast charging technology also comes with a rapid charger that boosts the amperage and the voltage, as long as your phone supports it. Some of the rapid chargers may not work on some phone models, several phones make use of Qualcomm’s Quick Charge standard, and this means chargers are interchangeable. Wireless charging is fun but not the best idea when you want to charge your smartphone faster. Even the wireless chargers that charge in a fast manner, that one that charge faster than standard wireless chargers, will still take a long time to charge your phone than a high-amperage charger like the one that comes with an iPad. If you are not bothered about time when charging, you can relax and use wireless charging but if you need power asap, forget the pad and plug your phone in. One of the habits that slows your phones charging time is using it when it’s charging. For instance, browsing the internet, taking pictures, watching videos etc slows the charging time so the best thing to do is leave the phone, turn off the display lights and even activate airplane mode to relief the phone of all the burdens as it charges. Fast charging is fun, saves time and makes life easy. So apply these tips to charge your phone faster today.